The 2016–17 season will be the twenty-fifth in the Premier League and ninety-seventh consecutive season in the top flight of English football for Arsenal F.C. The club will participate in the Premier League, FA Cup, the EFL Cup and the UEFA Champions League this season. There are thirty-four current players in the first team, with 5 out on loan. 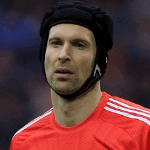 Widely recognised as one of the world’s best goalkeepers, Petr won a fourth Premier League Golden Glove award in 2016. Voted Czech Republic Player of the Year 2016 for the eighth time Petr helped his country qualify for the 2016 European Championship, his fifth major international tournament. Petr is the most capped Czech player of all time, with 124 caps. 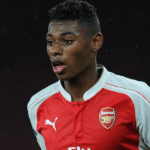 Academy product Kieran has appeared 33 times in all competitions and made 200 appearances for Arsenal F.C. He made his first-team début aged 18 in the League Cup, before a loan at Norwich City in 2008. He became a full international in 2010 and was named in the squad for five of England’s European Championship qualifiers last season. 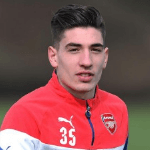 Hector joined Arsenal as a scholar in 2011 before making his first-team début in 2014. He broke into the first-team squad the following season, playing 28 times, including a start in the 2015 FA Cup final. Hector has made 44 appearances in all competitions. His international début was in a pre-Euro 2016 friendly against Bosnia and Herzegovina. Nacho has only missed one Premier League match at Arsenal F.C. 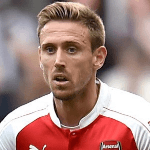 The defender joined Arsenal in the winter 2013 transfer window. Nacho first represented his national team in 2009 and played at the 2013 Confederations Cup. 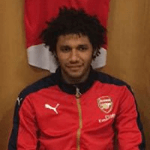 Mohamed’s début campaign at Arsenal F.C. in 2016 saw him win the club’s Goal of the Season award and two Player of the Month awards soon after. A full Egypt international since 2011, Mohamed has made nearly 100 league appearances and won the Super League in three consecutive seasons from 2013 to 2015 before making the switch to Arsenal F.C. Francis has more than 100 appearances to his name, appearing 35 times in all competitions. 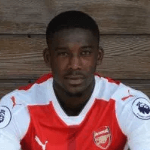 After joining Arsenal in 2008 and winning the FA Youth Cup in 2009, Francis had loan spells with Lorient (2010/11), Freiburg (2013/14) and Charlton Athletic (2014) before returning to north London for a place in the starting XI. Francis was a youth international in France at every level from under-17 to under-21. Signed from RC Lens in summer 2015, Jeff made his first-team début in January 2016. He featured in the FA Cup, and regularly travelled with the first-team throughout the middle of the season. Jeff has represented France at under-16, 17 and 18 levels. Yaya joined Arsenal F.C. in 2013, having represented France at all levels from under-16 to under-21. Yaya spent the first half of the campaign with Ajax in the Netherlands before returning to Arsenal at the start of 2016. Yaya is currently loaned out at Charlton Athletic until the end of the season. 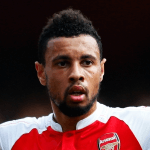 Now entering his fifth season at Arsenal F.C. Olivier signed from then Ligue 1 champions Montpellier in the summer of 2012. 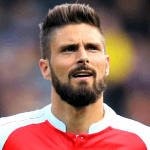 Centre-forward Olivier averaged just over a goal every two games in 2015/16, and was Arsenal F.C. top scorer with 24 strikes in all competitions. Arsenal F.C.’s longest-serving player made 42 appearances for the first team to take his overall total to just under 350. Theo was just 16 when he signed for the club. He became his country’s youngest-ever full international in the UK World Cup squad soon after. Theo has scored 85 times for Arsenal, the highest total of any current players in the first team.